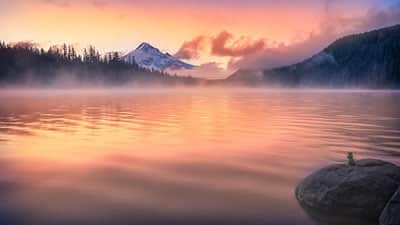 From the overwhelming beauty of the San Juan Islands to the giant glaciers of Alaska, journey into the wild, open spaces and lush forests of the West Coast. Hike, bike or paddle through the magnificent green spaces in and around the Pacific Northwest. With 70 miles of trails in Portland’s Forest Park, you don’t have to venture far from the city’s artsy microbreweries and cafes to find yourself in the wild. In Seattle, check out the iconic Pikes Place Market where you’ll see fish fly, cheese being made and step foot in the original Starbucks store! Hike to any of the many gorgeous waterfalls in the Pacific Northwest, including Multnomah Falls and Silver Falls. 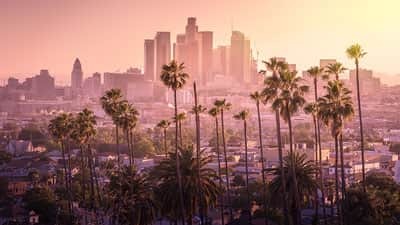 Take a snap in front of the Golden Gate Bridge in San Francisco or sip on cocktails at a posh rooftop bar in Los Angeles as you walk in the footsteps of Hollywood's stars. 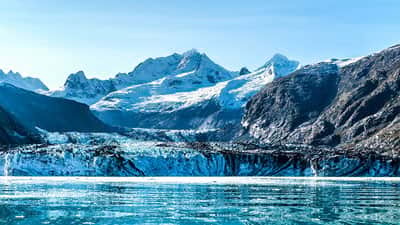 In Alaska, cruise past narrow fjords and giant glaciers, hike in dense rainforest, and anchor in quiet, secluded coves as you watch hundreds of Humpback whales feed. It’s no wonder that Alaska is home to the best whale watching in the world, a haven for the planet’s largest populations of Humpback whales. The last frontier, Alaska is wildlife central with grizzlies, wolves, caribou, eagles, moose, and polar bears. A voyage through the Pacific Northwest is a journey into some of the country's best culture and wild spaces. For warm weather, plan your trip around May through September. Heading north can be quite challenging, be prepared and check sea and weather conditions.